Private property is a legal designation for the ownership of property by non-governmental legal entities. Private property is distinguishable from public property, which is owned by a state entity; and from collective (or cooperative) property, which is owned by a group of non-governmental entities. Private property is further distinguished from personal property, which refers to property for personal use and consumption. Private property is a legal concept defined and enforced by a country's political system. ὑμῖν διελεῖν τε κατὰ γύας. I intend to measure out the air for you—dividing it in surveyed lots. We live in a system described in obsolete terms. We have come to believe our own repeated declarations that our society is based on individual initiative – whereas, in fact, most of it is no more individual than an infantry division. We assume that our economic system is based on “private property.” Yet most industrial property is is no more private than a seat in a subway train, and indeed it is questionable whether much of it can be called “property” at all. We indignantly deny that we are collectivist, yet it is demonstrable that more than two-thirds of our enterprise is possible only because it is collectivist: what is really meant is that the State did not do the collectivizing. Adolf A. Berle, Power Without Property (1959), p. 27; Cited in asociologist.com, 2009/12/07. Mary Abigail Dodge, Country Living and Country Thinking, Preface, reported in Bartlett's Familiar Quotations, 10th ed. (1919). Every change in the social order, every revolution in property relations, is the necessary consequence of the creation of new forces of production which no longer fit into the old property relations. Private property has not always existed. When, towards the end of the Middle Ages, there arose a new mode of production which could not be carried on under the then existing feudal and guild forms of property, this manufacture, which had outgrown the old property relations, created a new property form, private property. And for manufacture and the earliest stage of development of big industry, private property was the only possible property form; the social order based on it was the only possible social order. The abolition of private property has become not only possible but absolutely necessary. When all capital, all production, all exchange have been brought together in the hands of the nation, private property will disappear of its own accord. What will be the consequences of the ultimate disappearance of private property? Society will take all forces of production and means of commerce, as well as the exchange and distribution of products, out of the hands of private capitalists and will manage them in accordance with a plan based on the availability of resources and the needs of the whole society. In this way, most important of all, the evil consequences which are now associated with the conduct of big industry will be abolished. 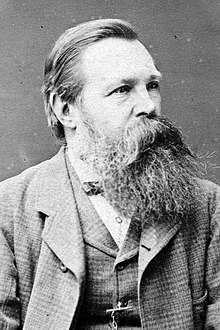 There will be no more crises; the expanded production, which for the present order of society is overproduction and hence a prevailing cause of misery, will then be insufficient and in need of being expanded much further. Instead of generating misery, overproduction will reach beyond the elementary requirements of society to assure the satisfaction of the needs of all; it will create new needs and, at the same time, the means of satisfying them. It will become the condition of, and the stimulus to, new progress, which will no longer throw the whole social order into confusion, as progress has always done in the past. Prostitution is based on private property and falls with it. Private property… is a Creature of Society, and is subject to the Calls of that Society, whenever its Necessities shall require it, even to its last Farthing, its contributors therefore to the public Exigencies are not to be considered a Benefit on the Public, entitling the Contributors to the Distinctions of Honor and Power, but as the Return of an Obligation previously received, or as payment for a just Debt. Benjamin Franklin, Queries and Remarks respecting Alterations in the Constitution of Pennsylvania, 1789. [I]f private property goes, then in my view there is no safeguard whatsoever. You are horrified at our intending to do away with private property. But in your existing society private property is already done away with for nine-tenths of the population; its existence for the few is solely due to its non-existence in the hands of those nine-tenths. Karl Marx and Friedrich Engels, The Communist Manifesto (1848). But to make the comparison applicable, we must compare Communism at its best, with the regime of individual property, not as it is, but as it might be made. ... The laws of property have never yet conformed to the principles on which the justification of private property rests. John Stuart Mill, Principles of Political Economy (1848), p. 14. It is the value of the improvements only, and not the earth itself, that is individual property. ... Every proprietor owes to the community a ground rent for the land which he holds. In Western Europe since Roman times, private property was considered sacrosanct. The principle enunciated by the Roman Stoic philosopher Seneca that kings rule by the will of the people became fundamental to Western civilization, together with private property, which was the main source of productive wealth. We need to keep a very keen eye on our own government. It's getting too rich and redistributing wealth is a sure way of robbing us of our private property rights and other rights along with them. The right of disposal depends on being mature and being able to fulfill one's duties; when the possessor does not meet these requirements, then the natural fruits of ownership come to an end. Margaret Thatcher, Article for Daily Telegraph ("My Kind of Tory Party") (30 January, 1975). Societies with private property are often described as free societies. Part of what this means is surely that owners are free to use their property as they please; they are not bound by social or political decisions. ... But ... it would be equally apposite to describe private property as a system of unfreedom, since it necessarily involves the social exclusion of people from resources that others own. All property systems distribute freedoms and unfreedoms; no system of property can be described without qualification as a system of liberty. Someone may respond that the liberty to use what belongs to another is license not liberty, and so its exclusion should not really count against a private property system in the libertarian calculus. But the price of this maneuver is very high: not only does it commit the libertarian to a moralized conception of freedom of the sort that he usually shies away from (as in case of positive liberty), but it also means that liberty, so defined, can no longer be invoked to support property except in a question-begging way. Jeremy Waldron, Stanford Encyclopedia of Philosophy article “Property and Ownership”. In the early days, the common purse at Jerusalem was not the outworking of the deliberation about whether it is good for disciples to have possessions of their own, and certainly it involved no speculation as to whether it is wholesome for society to be governed by a regime of private property. Sharing together was much more immediate and unpremeditated; they shared their wealth because they ate together and because food for the morrow is about all the wealth a common person can ever hope to possess in any simple society.